Renowned Talent Manager, Talk Show host and entertainment News Writer Ms. Lolit Solis could not hardly fathom why being acquainted with the Marcos clan is considered a mortal sin by many, not less than Singer Moira Dela Torre’s recent alibi after being criticized for performing at a Marcos event last September 11. While the singer maintains that she was never aware of the concert’s real name and purpose, Ilocos Norte’s Provincial Tourism office defended that Dela Torre was properly informed, first – hand. “There is no way that Moira herself would have missed this as posters were all over her fan pages,” he added. Raquel also emphasized that the event was organized to commemorate the 101st Birth anniversary of former President Ferdinand Marcos which was unmistakably PUBLICIZED and PROMOTED well on social media. 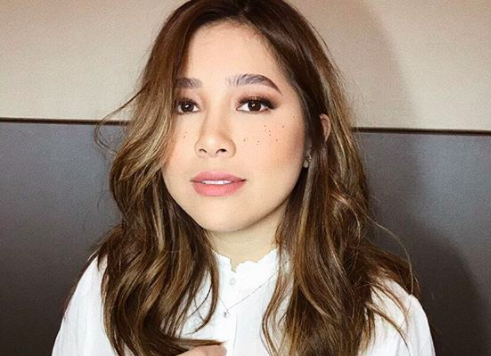 “The facts are simple — we invited Miss Moira Dela Torre to perform her hits and not to play politics,” the Tourism official said. “She accepted the gig and we respectfully hosted her here until she left. The venue was packed with gracious Ilocanos who were excited to see her before the devastation of Ompong. Photos and videos will show that Moira had fun on stage, not a hint of unwillingness to perform,” he explained. “We never expected that she would tweet that she is angry for performing at Marcos Fest while we are inundated with the damage of Ompong. Remove all politics and cultural subjectivities and you get the basic and simple issue of courtesy, reciprocal decency and common sense,” Raquel lamented. 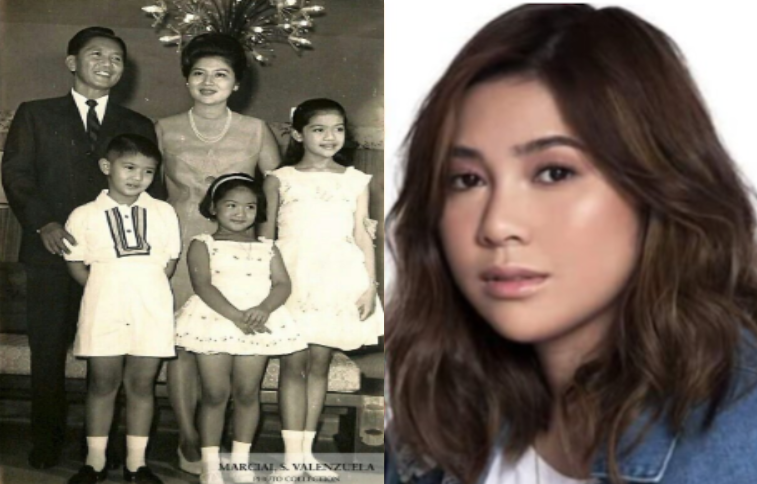 Solis lambasted Dela Torre, whom she asserted that she has not yet been acquainted with, via an Instagram post on Wednesday, November 7 and questioned the singer about the embarrassment she felt about having to perform for the Marcoses. She also added saying that she does not see any logical reason behind the news that Vice Ganda went on the same flight with Ilocos Norte Governor Imee Marcos becoming an issue, noting that political affiliation, color and beliefs should not be an obstacle to one’s ability to perform his / her forte. Her rather lengthy post (@akosilolitsolis) read as, “Hindi ko alam Salve kung sino si Moira de la Torre pero narinig ko ang mga usapan tungkol sa pag-deny niya na hindi niya alam na iyon singing stint niya sa Ilocos ay Marcos affair at para bang hiyang-hiya siya na pumayag siya na kumanta dun at wala siyang alam na may kinalaman iyon sa mga Marcos. Hindi ko alam kung kaso ito ng isang ignoranteng tao na ginagawa ang isang bagay at tumatanggap ng bayad pero hindi niya alam. Ano ito walang kontrata? Ano ito basta ka lang binigyan ng pera? At bakit ganun na lang ang pagtanggi mo na parang diring-diri ka, bakit? Ewan ko kung bakit kailangan mag-explain o mag-deny, singer ka kinuha ang serbisyo mo, so, eh ano kung para kanino iyon affair. Hindi political rally iyon, hindi rin endorsement iyon para sa mga Marcos, why the denials? Kahit iyon kay Vice Ganda hindi ko makita bakit kailangan gawin issue iyong nagkasabay sila ni Imee Marcos, anong masama? Political affiliation, color, beliefs hindi dapat maka-hinder o maging hadlang sa trabaho. Grabe naman na para bang laking kasalanan kung madikit ka sa Marcos. Sana hindi sila makalimot na ang Heart Center, Kidney Center, Lung Center, CCP, PICC, lahat iyan natayo sa panahon ni Marcos. At sana, dahil sa denial ni Moira, makilala ko na siya at sana hindi siya mandiri na kilala niya ako, hah hah palagay mo Salve? #instatalk #lolitkulit #71naako”. 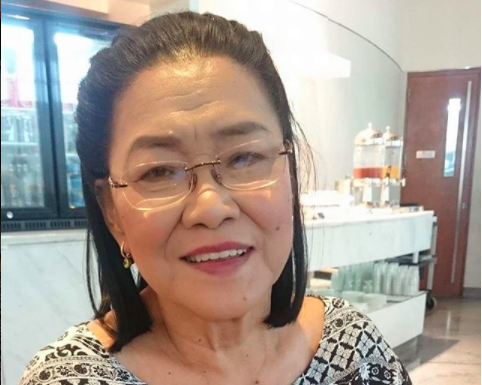 Meanwhile, Solis also took to social media to commend both Imee Marcos and Movie and Television Review and Classification Board (MTRCB) Chairperson Rachel Arenas as among many women leaders she greatly admires, marking both personalities’ birth month. For Solis, both should be the kind of women to be holding government positions. She also admires how modern and “in” the 2 are, much as they feel ‘in tune’ when talking to reporters. “Talagang ang vision for progress straight ahead. Hanga ako sa pagiging babae na moderno nila Imee at Rachel.” Solis posted on Instagram dated November 6. “Mga katulad nila ang dapat nasa government office dahil progressive ang vision nila,” she said. “Hay naku, kainggit kasama nila sa trabaho, ang dami sigurong natututunan sa kanilang dalawa…,” she added.